To enjoy blended drinks, you will need a glass straw that can handle the thickness of your favorite daiquiri, smoothie, or milkshake. 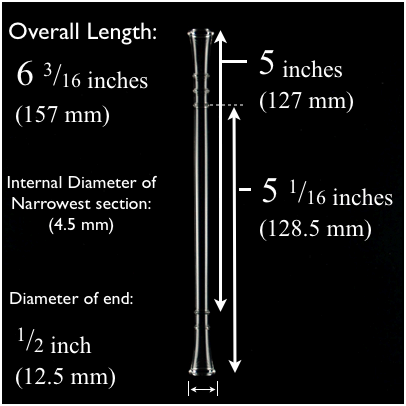 The Short Tumbler/Goblet Glass Straw Large is a larger diameter straw suitable for even the thickest blends. For a similar, but more dainty design, see our Short Tumbler/Goblet Straw Small. Click the button below to add the Short Tumbler/Goblet Straw Large to your wish list.